Build your own dollhouse with free step by step instructions. You don't need a lot of tools to build a dollhouse. 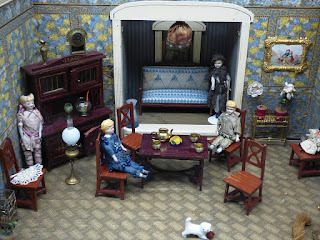 All of this dollhouse, excluding the interior walls, was cut out of a single sheet of 4-foot x 8-foot plywood. The whole thing was cut out at the Home Depot. 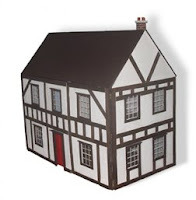 This site offers free, detailed plans about how to build a dollhouse.